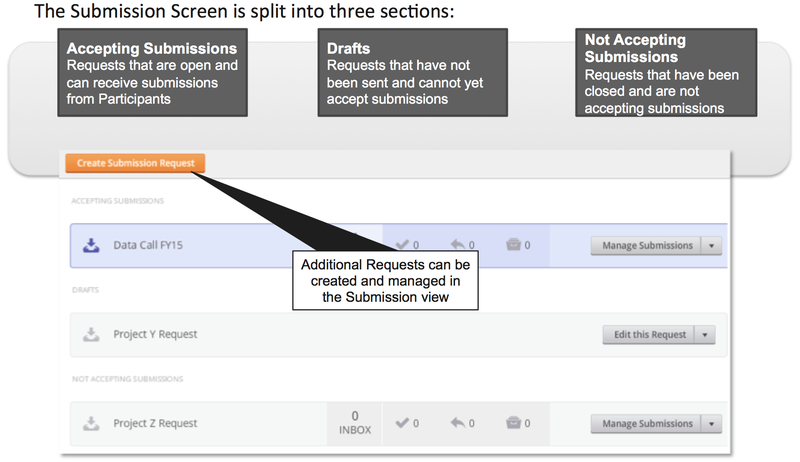 Submissions Requests are created from the Alternatives screen. Once the first Submission Request is created, the Facilitator will see a Submission option will be added to the Homepage where they can review manage all Submission Requests and access all incoming submissions. 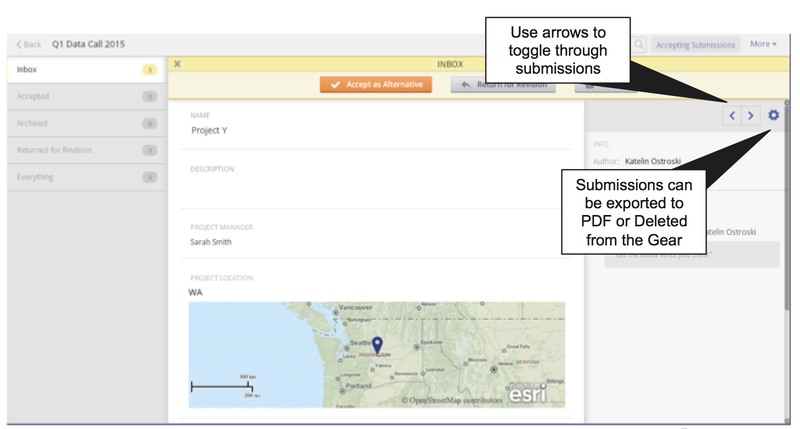 Submissions are only visible to users with the Facilitator role. To view Submissions, click the Submissions section on the left pane and then cllick on the Submission name to open. To view the Submissions click on the Inbox icon. To edit or duplicate the Submission Request click on the drop down box to see more options. All information within a Request can be edited except for the Name. Only the name of Drafts can be edited. Once a Submission is Accepted as an Alternative, the Submission and Alternative will be linked so that Facilitators can view where the Alternative was originally derived. Use archive when thre are duplicates or if the ideas is not up for consideration. Facilitator is not required to comment when archived.